As with all of my journeys, the time has finally come for the trip to draw to a close. This morning, under the glare of the Sicilian sun, we had a breakfast on the terrace. Something interesting is happening at these hotels in Sicily – they put only a scant amount of food for breakfast, and the servers hover nearby. As a result, when there are only three pieces of prosciutto, we don’t feel comfortable taking two of them. Then again, the cappuccino is wonderful, and that fixes a lot. 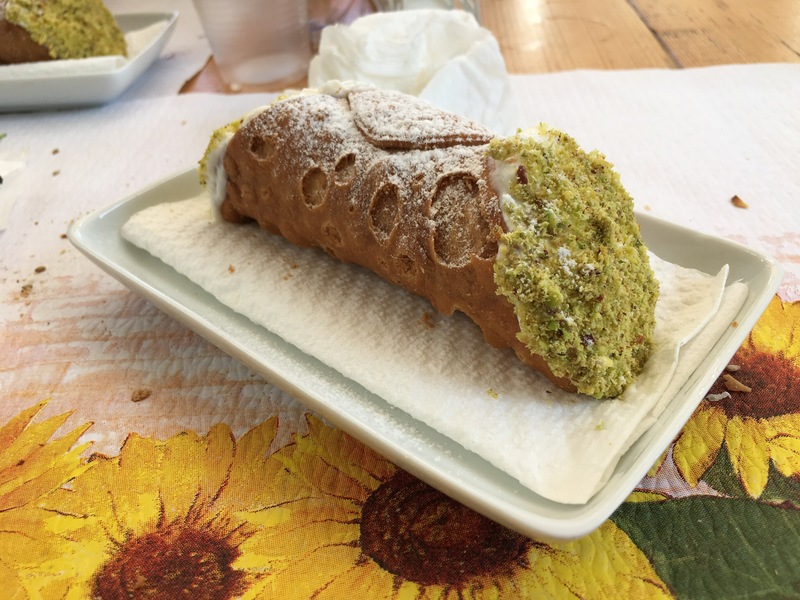 After breakfast we dared one last trip into the sun baked streets of Ortigia, where we gathered a few things from the market. And we sat for one last meal and cannoli. The ricotta here is frankly ridiculous. What we get at home is coarse and grainy. The ricotta here is like a cloud. It’s shockingly good. At home I wouldn’t think of taking a spoon to a bowl of ricotta and eating it like it’s ice cream, but here, I’ve done so. Repeatedly. 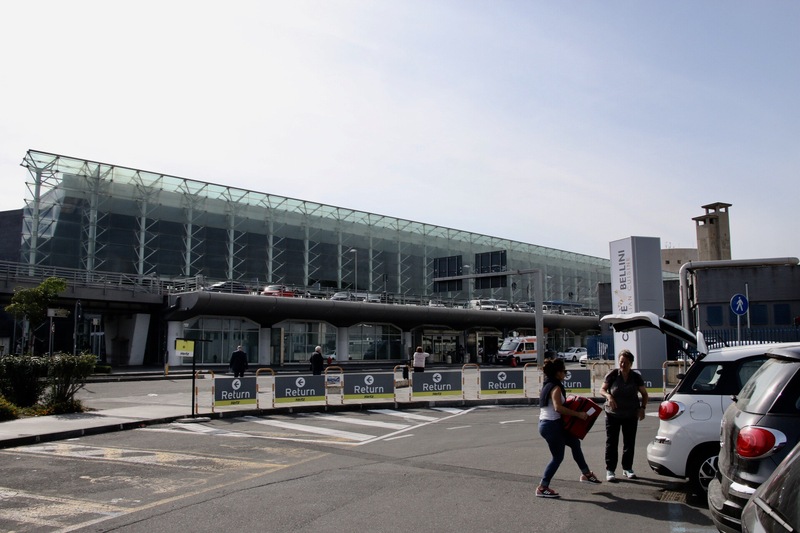 We left then for the Catania airport. 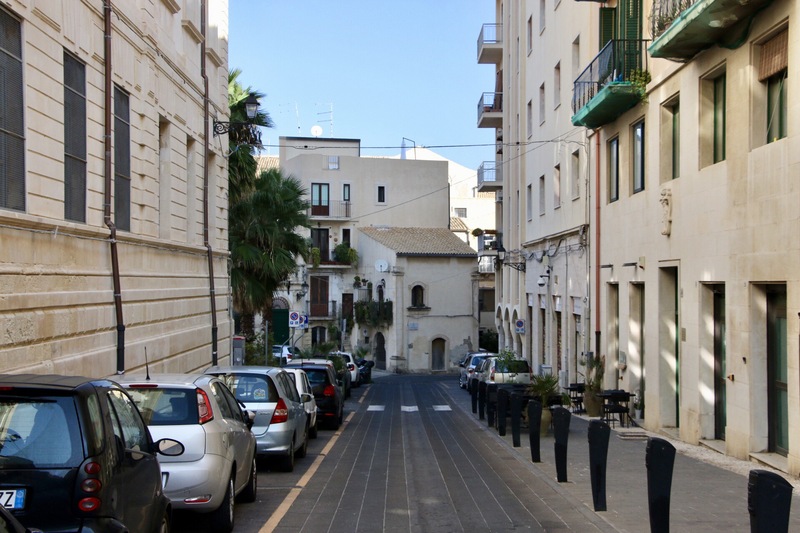 We briefly forayed into Catania with the thought of visiting the Duomo, but a drive into the center of town demonstrated a city that felt less than welcoming to strangers. It might be different if we were staying here, but the cold black stone of the buildings juxtaposed against the copious graffiti was enough to deter us from attempting to park anywhere. Instead we returned to the airport where we deposited our car at the rental company, all the while listening to another American instructing the locals on how they might improve the signage. I’m sure that’ll be helpful. The flight on Alitalia back to Naples was easy. We caught a cab and raced, quite literally, into the center of the old city where the taxi was hit by a motorcyclist. The woman on the bike wasn’t fazed in the least and didn’t even stop, motoring away into the chaotic Neapolitan streets. The taxi driver was more upset than she was. 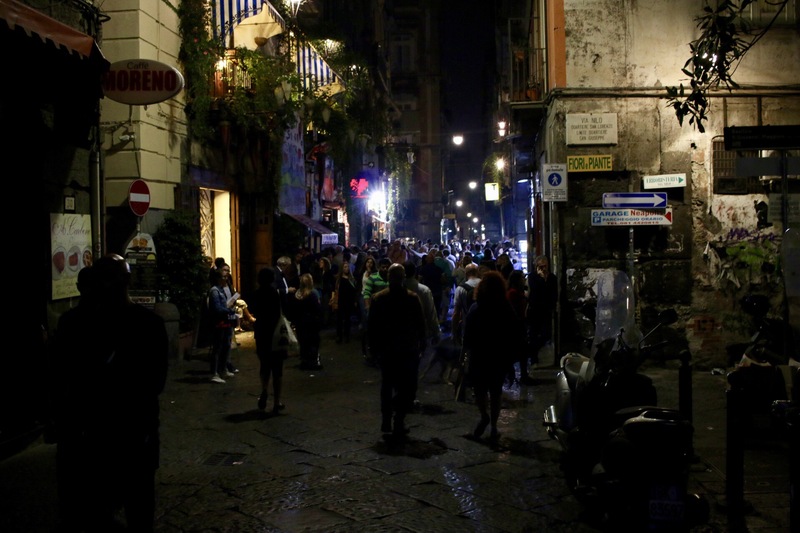 The cabbie was able to wedge us through the constricted alleyways that pass for streets in Naples, inching his way through clusters of pedestrians until we were finally within a few blocks of the hotel, finally sending us the rest of the way on foot. Still, it wasn’t an easy expedition, as we walked past the hotel twice before finding it, bedecked as the portal was by more graffiti. The sign was small and nondescript, but upon entering the door-within-a door (a people-sized door set within a much grander doorway) the hotel was clean and lovely. Whereas at home people worry about external appearances, in Italy they worry more about the internal. I wish I had taken photos inside the hotel so you could see the bizarre contrast for yourself. We checked in and hurried off to Sorbillo – currently felt to be the best pizza in the city. The mass of waiting diners, however, was overwhelming. We placed our names on the list, but upon further discussion decided to go to a place down the street that serves perfectly respectable Neapolitan pizza. And with only a compulsory stop for dessert to be had (sfogliatella) our evening was at last complete. Tomorrow we will head home at last, another wonderful trip in the rear view mirror.